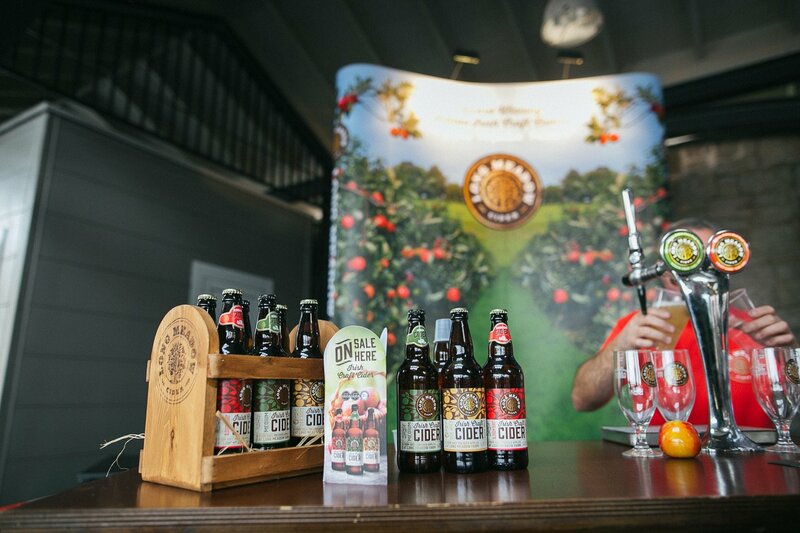 We’re looking forward to the food and cider festival Thursday 20 – Sunday 23 September. 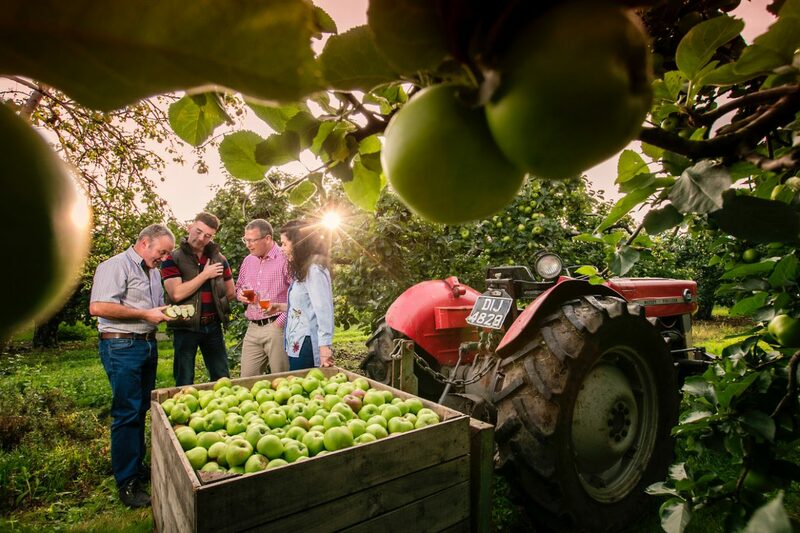 This involves orchard and cidery tours, art in the orchards, wine versus cider, Food and Cider Markets (Banbridge & Armagh), coach tours, foraging and much more. 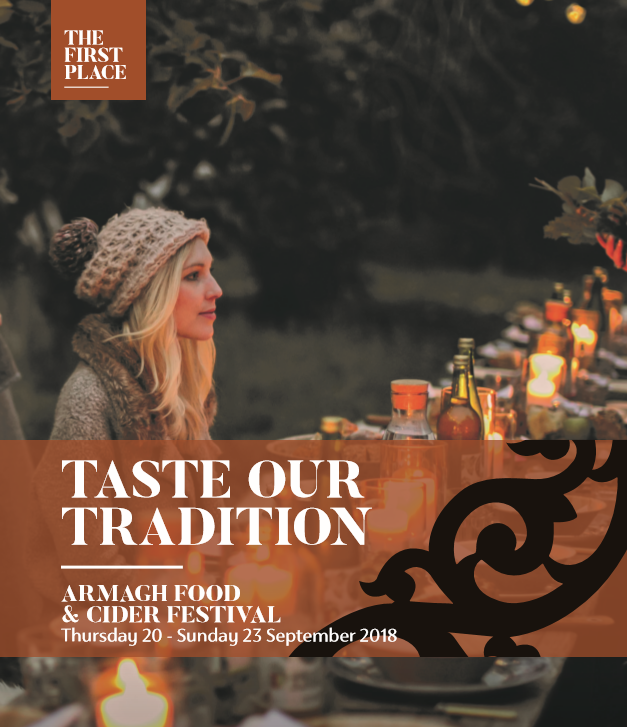 For further information and to book tickets please contact Armagh Visitors Information Centre, Banbridge Information Centre or book on line through visitarmagh.com/foodandcider. 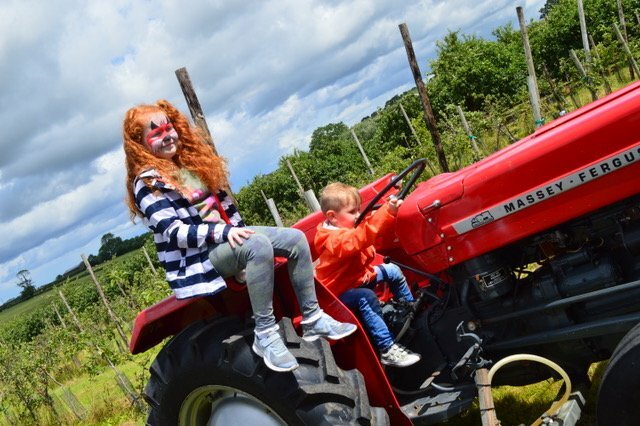 Open Farm Weekend A Big Success! What an amazing weekend we all had! Thank you to all our visitors who called to enjoy the various activities, the treasure hunt, Wheel barrow park and ride, arts and crafts, horticulture, face painting, orchard tour, chalk wall and all the other activities. We’ve already new ideas and plans in place for next year. Thank you to Kennedy Bacon for the delicious Pig on the Spit, the Pulled Pork Burgers, Beef Burgers and Hot Dogs, the food was amazing and thoroughly enjoyed by everyone. Thank you to Apple Blossom Bakery and Linda’s Original for the delicious Apple Tarts, Apple Crumbles, Fudge Cakes and delicious tray bakes. Thank you to Rebecca McConnell from Purple Rain for all her hard work in organising this great event and for her invaluable back up support. Major thanks also to the the Young Farmers Club in Bleary and Collone for all their help with the car parking which was very much appreciated. Thank you also to everyone who made donations to Air Ambulance NI and an amazing £235 was raised! Here is a selection of some of the photos which were taken over the weekend, we hope to see you all again next year. 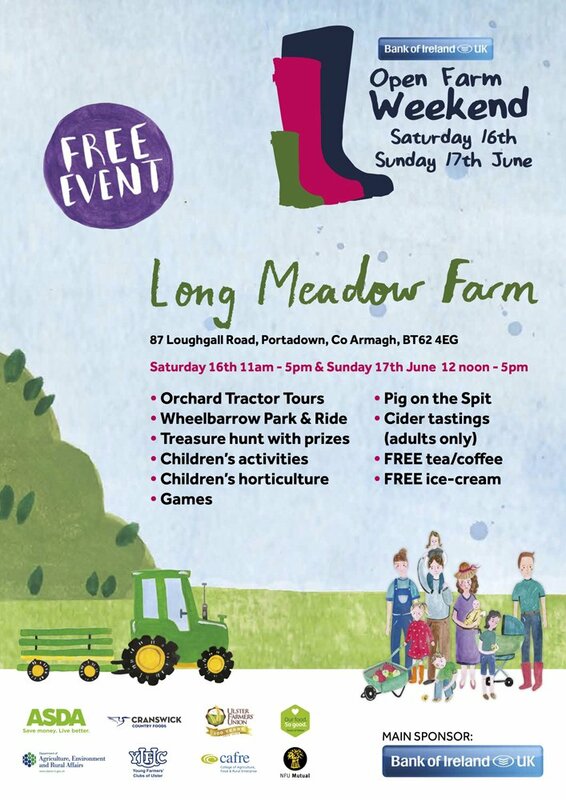 Come along and visit Long Meadow Farm during the Bank of Ireland ‘Open Farm Weekend’! 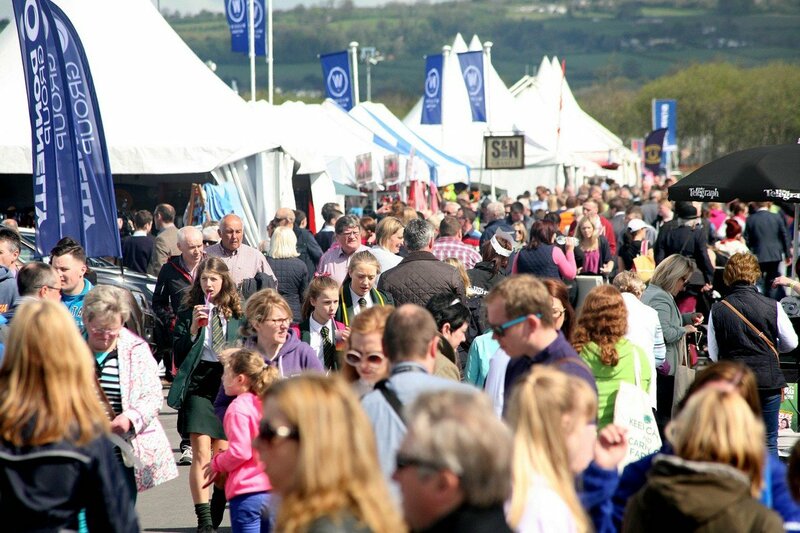 Lots to see and do on Saturday 16th and Sunday 17th June. See you there! 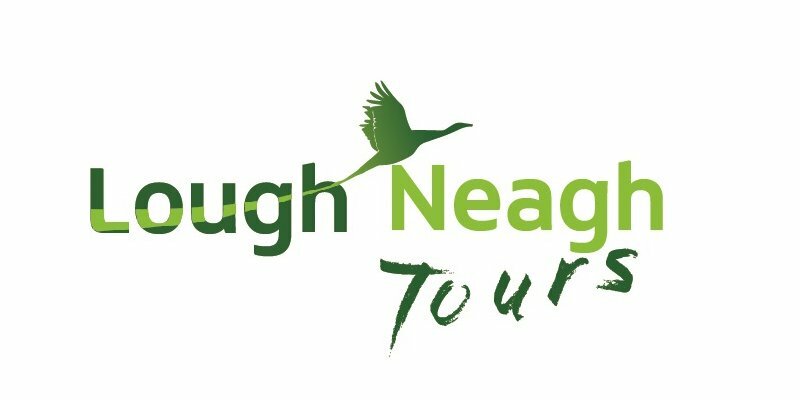 New for 2018, the Heartland Food & Drink Tour has been added to the popular and unique Lough Neagh Tours portfolio and will depart Belfast on 12 May, 2 June and 9 June. 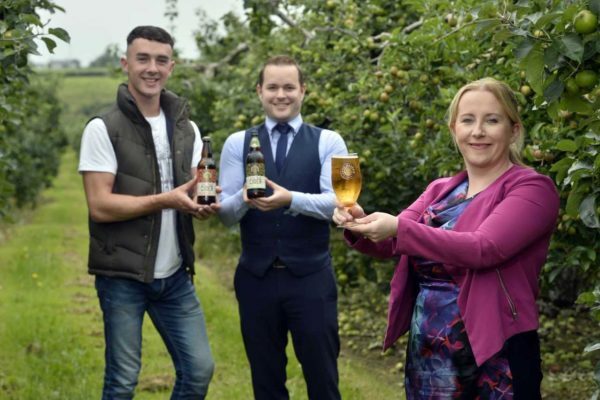 The family–owned and managed business, located at the heart of Northern Ireland’s ‘Orchard Country in Loughgall, is implementing a major growth strategy to accelerate sales of its ciders, juices and apple cider vinegar in Northern Ireland, Great Britain, the Republic of Ireland and further afield. 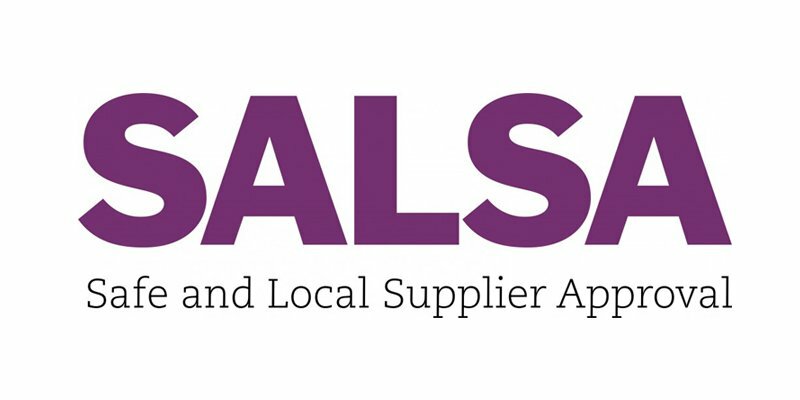 Managing director Pat McKeever, who started the business with son Peter and other family members in 2013, commenting on the SALSA accreditation, says: “SALSA is a tremendous endorsement of the quality and safety of our business, processes and products. 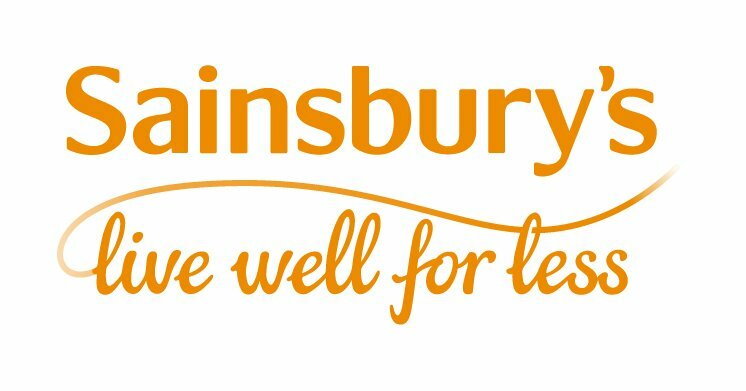 “Indeed, we’ve scrutinised all aspects of our business and made a number of changes to increase efficiency and productivity. It’s also an important measure of the premium quality of our ciders and juices. “SALSA accreditation positions us to meet the food safety and transparency requirements of multiple retailers that we’ve been talking to about listing our products,” he adds. The company, based on family–owned orchards, has won a series of major awards for its products including UK Great Taste Awards and Blas na hEireann Irish National Food Awards. 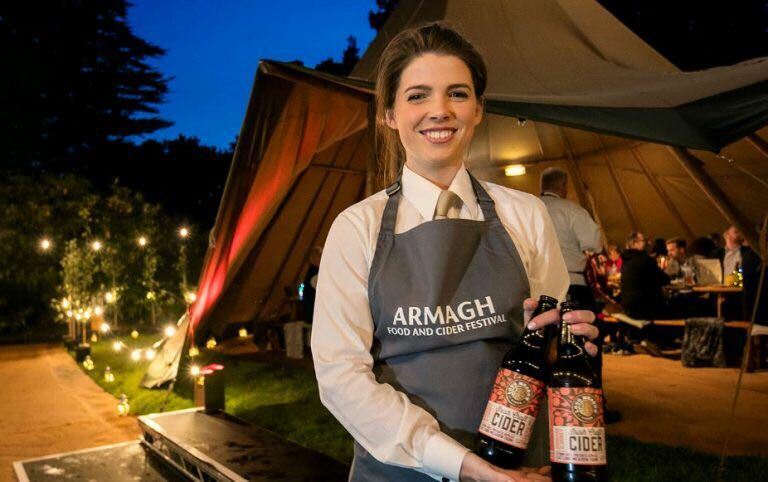 In addition, Long Meadow last year gained a major marketing award in a competition for Northern Ireland’s smaller food companies organised by the George Best Belfast City Airport. 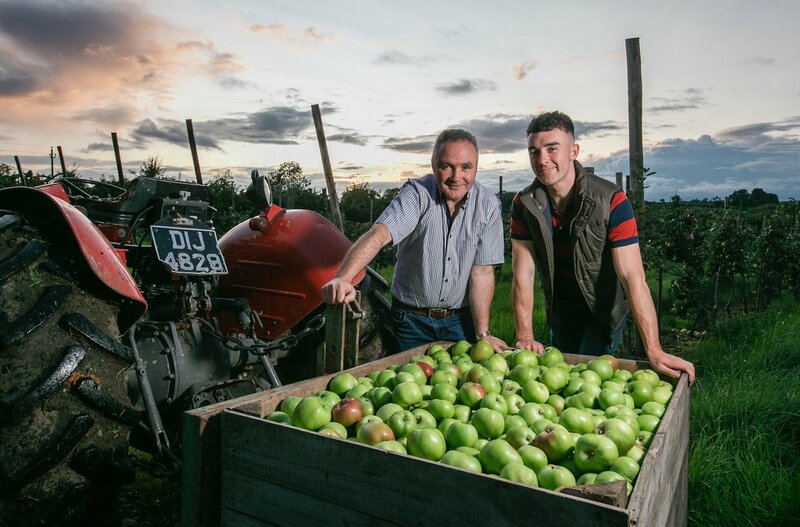 Long Meadow has a heritage in apple growing stretching back three generations in county Armagh and has already won business from delis, independent retailers, restaurants and bars in Northern Ireland and in the Republic of Ireland. The enterprising family grows and harvests apples from upwards of 120 acres, 30 of which are on the home farm. The decision to diversify from growing apples into the production of cider, juices and cider vinegar followed extensive market research and substantial investment on the development of an innovative range of products and processes. Native Bramley apples, which have EU PGI status, and other locally grown apples from a network of trusted growers are used. 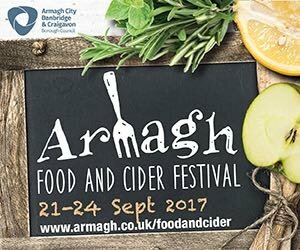 Celebrate a tasty feast of Armagh cuisine combined with the best of local Cider this harvest season. Following our recent competition success with Belfast City Airport we have been delighted to showcase our products with local media outlets around the country. Many thanks for their kind words and we hope you enjoy the articles! 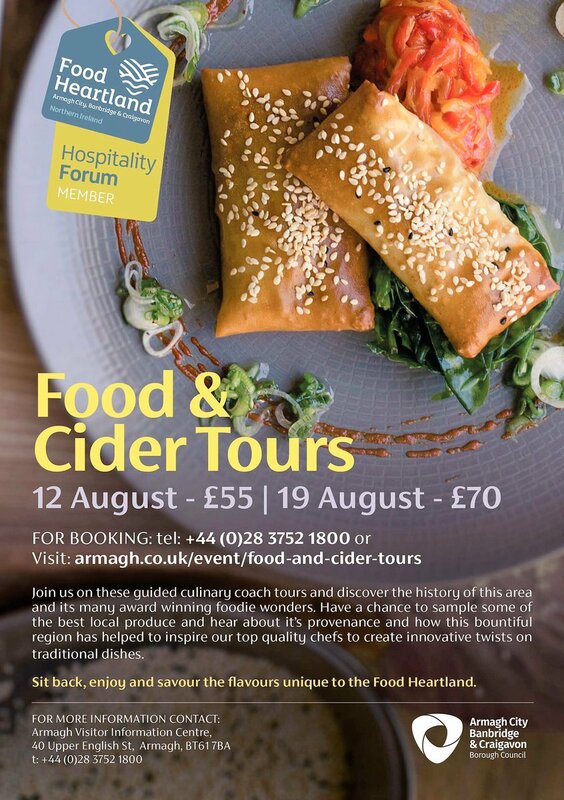 We are taking part in Armagh, Banbridge, Craigavon Borough Council Food Heartland Food Tour on 19th August. This is a great opportunity to see a working apple farm and cider production company in operation. 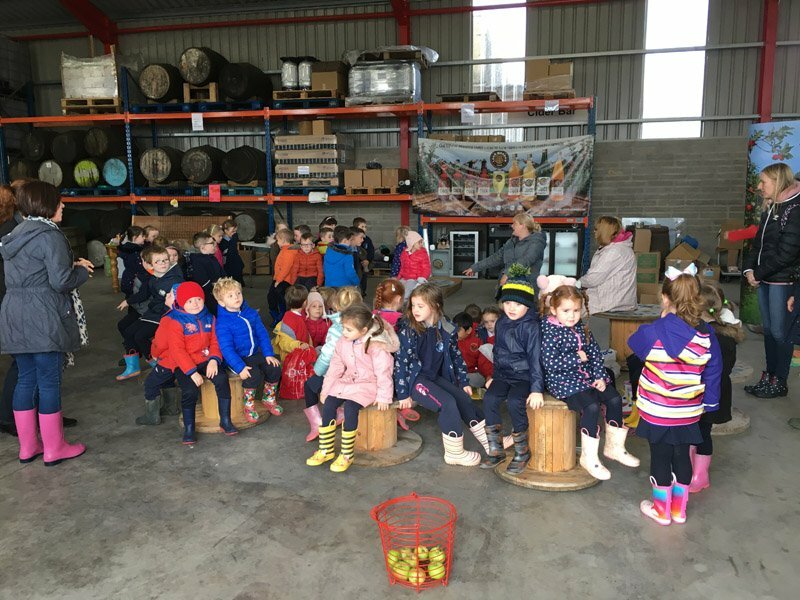 Orchard tour arranged, information on apple plantations, storage facilities and of course the opportunity to taste pure craft cider as well as the added bonus of visiting other producers/restaurants within the Armagh area. An informative fun filled day ahead for all. Looking forward to seeing you all on the 19th August!